Z Pharma & Laboratories - OEM Manufacturer of multi vitamin effervescent tablets, hyaluronic acid for skin & ana gain hair growth capsules since 2012 in Bengaluru, Karnataka. Active ingredient: Vitamin A, Vitamin B1, Vitamin B2, Vitamin B6,Vitamin B12,Vitamin C,Vitamin D, Vitamin E, Niacin, Pantothenic, Folic acid, Calcium(Ca), Zine gluconate (Zn), Ferric citrate (Fe), etc. Flavor: orange, lemon, raspberry, etc. We inspect the manufacture process strictly and the quality can be controlled. We manufacture high quality products with reasonable price and prompt delivery. Our best quality with natural and pure. How Does Hyaluronic Acid Benefit Skin?Hyaluronic acid is a glycosaminoglycan, a fancy name for a vital natural substance that’s a youth-supporting part of skin. As the chief glycosaminoglycan in skin, hyaluronic acid works to keep every aspect of skin stable, safeguarded, and constantly renewed. It also has the stunning capacity to attract and hold vast amounts of moisture for skin.This science-based magic lies in hyaluronic acid’s ability to replenish moisture, a lot of moisture! One gram (0.03 ounce) of hyaluronic acid can hold up to six liters of water. Now that really is mind-blowing! Even more impressive is that hyaluronic acid can do this for skin without tipping the scales and giving skin too much water, which, surprisingly, can be a problem for skin.Hyaluronic acid’s moisture-binding characteristic is exceptionally important when it comes to skin aging. One of the qualities of youthful skin is its ability to hold water and retain a balanced amount of moisture. As we age, our skin loses this ability to maintain this vital, plumping moisture as well as it once did, resulting in a loss of firmness, pliability, and a decreased appearance of plumpness and suppleness.Hyaluronic acid can enhance moisture content beyond comparison with anything else, and at the same time revitalize skin’s outer layers so they look and feel softer, smoother, and, especially, radiantly hydrated! That’s how it instantly improves the appearance of fine lines and wrinkles.That would be plenty, but we love that there are even more benefits—hyaluronic acid goes beyond offering a more resilient, hydrated appearance, as we explain below.Hyaluronic Acid to the Rescue Our skin suffers from unprotected sun exposure (daily SPF is a must! ), harsh skincare ingredients and environmental assault—they can all can weaken the surface of skin. Hyaluronic acid’s replenishing properties go a long way toward mitigating those issues, especially when used as part of a complete anti-aging routine that also includes other proven ingredients.In our research, we also discovered another fascinating aspect of hyaluronic acid—it even surprised us. It turns out that hyaluronic acid also provides an antioxidant defense against environmental assault. Now that’s what we call a multitasking anti-aging ingredient!As you can see, hyaluronic acid is phenomenally helpful for all skin types. If you have oily or combination skin, hyaluronic acid in a pure fluid solution is ideal. These formulas have an exceptionally lightweight texture that feels weightless on skin, even though you’re getting concentrated moisture-restoring benefits.Hyaluronic acid is also incredibly gentle for even the most sensitive, redness-prone skin. In fact, its positive influence on skin’s surface is due in part to its natural calming benefit, which means it can help sensitive skin as well as blemish-prone skin.Hyaluronic Acid and Sodium HyaluronateIn addition to hyaluronic acid, you may have seen the similarly named sodium hyaluronate on a skincare ingredient list. There indeed is a connection: Sodium hyaluronate is a salt derived from hyaluronic acid. It has all the benefits of hyaluronic acid, but with one extra advantage, in that it is more easily absorbed than hyaluronic acid. combined with an increased number of degenerating ( telogen ) hair follicles. Causes of this include hormone levels, malnutrition, environmental factors and stress. By the age of 50, at least 50 % of men and approximately 25 % of women are affected by hair loss. Women experience diffuse hair loss and tend to lose the hair on the top of their heads. Meanwhile, hair loss in men can be much more extensive, mainly affecting the temporal areas and the top of the head. 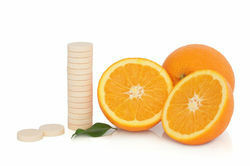 Usable Range Supplement the vitamin c for adult. Usage and storage: 1 tablet one time, 3 tablet one day. Put one tablet into about 200ml warm (cool) drinking water and drink after it dissolves. Drink it after meals. Announcements : Should not be more than the dose recommended or use the same kind of production in the meantime, should not be swallow. Storage: Sealed, Keep tightly in a cool and dry place. Papaya soap contains an enzyme called "papain," also known as "papaya proteinaise", that breaks down certain proteins in the skin. For this reason, it as a common component in meat tenderizers. Similarly, when papain is used in a soap, it dissolves the dead skin cells on the surface of your face, making it useful as an exfolient that reveals your newer, healthier skin cells. Skin softeningManufacturers of papaya soap usually add an emollient such as Kojic Acid+Papaya extract+Vitamin c Vitamin E,Glyceriene to moisturize your skin. As the papain lifts the dead skin cells from your face, the emollient softens your new layer of skin, potentially giving it a clearer appearance. Papain has also been used to remove the outer layer of skin from wounds and ulcers and, with regular use, papaya soap could fade the appearance of scars over time. By the same principle, it could also slightly lighten dark spots and freckles. It does not, however, contain any bleaching agents that would drastically lighten or whiten the skin. You will be fair and get pinkish glowing skin. It would Lighten dark spots. Lips will get pink because the melanin pigments blocking your lip will also diminish. It Smoothens and whitens the skin all-over. Bikini line will lighten up. Dark spots are healed cause by acne and prevents pimples. Makes skin stay smooth, supple, fresh and radiant. It treats skin ulceration in a better manner. Healing of wounds is enhanced the skin gets nourishes. •The innermost layer of the skin called dermis and the outermost surface which is visual in our eyes is the epidermis. The particular determinant of variability in human skin color will be the melanin in the skin and melanocyte is a cell that synthesizes it. L-glutathione, is the whitening pill's main component, starts the lightening impact in the dermis working its way out to the surface. 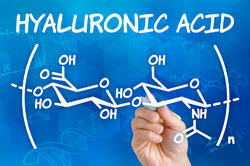 •There are certain types of compounds that conquer the tyrosinase activity and L-glutathione is one among them. 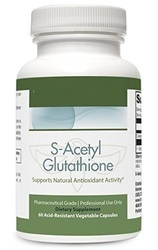 GSH(reduced glutathione) intervenes in the metabolism. The oral usage of Reduced Glutathione(L-glutathione) inhibits the tyrosinase activity. Once the tyrosinase process has been inhibited the metabolic pathway then turn its course going to the synthesis of light pigmented melanin called Phaeomelanin instead of synthesizing dark pigmented melanin called Eumelanin. The cycle continously move as long as the presence of L-glutathione co-exist in the metabolic pathway of melanin. Eventually, light skin will reveal to the surface step by step changing your complexion. As an anti-oxidant/ anti-aging medication: glutathione’s recommended dosage is between 10 and 20mg. per Kg. BW (body weight) per day divided into two doses.